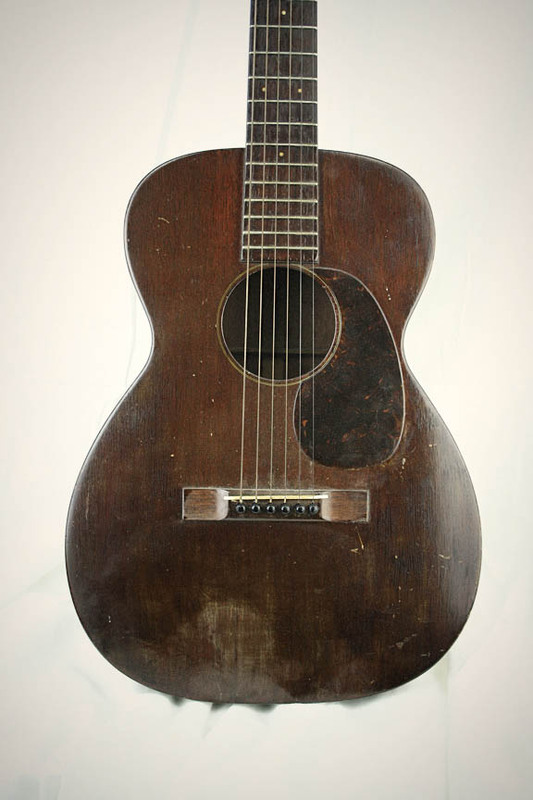 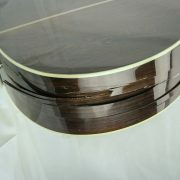 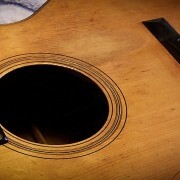 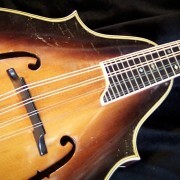 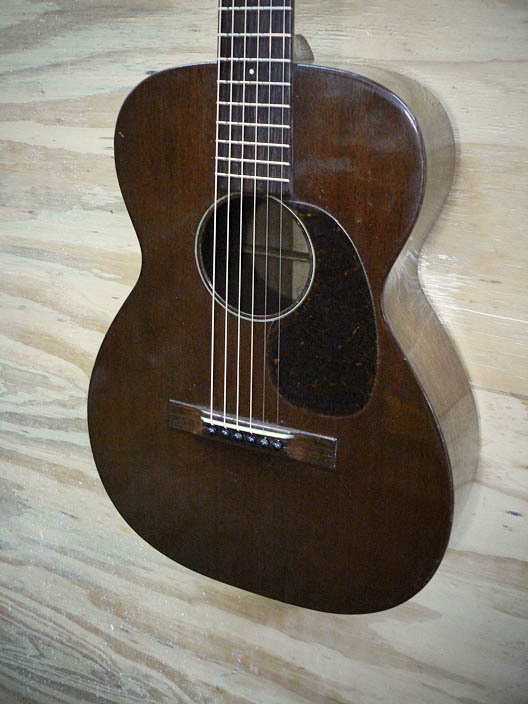 Here is a golden era martin 00-17 minor restoration from my repair archive completed in 2012. 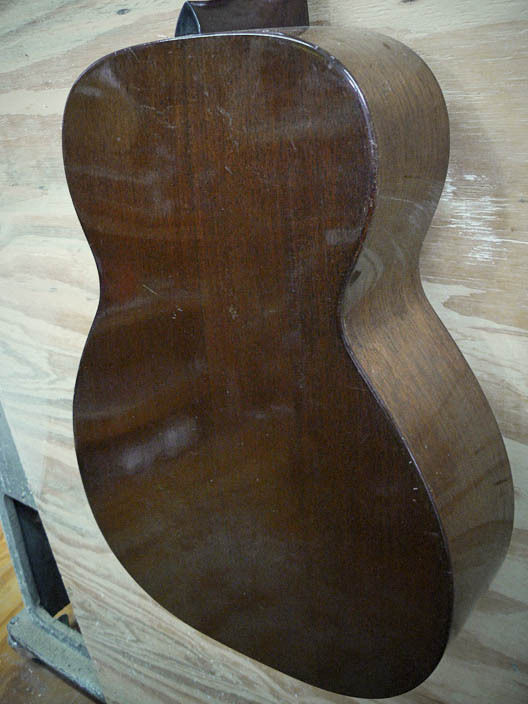 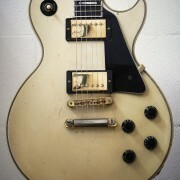 This guitar was presented in a very roughly over coated state. 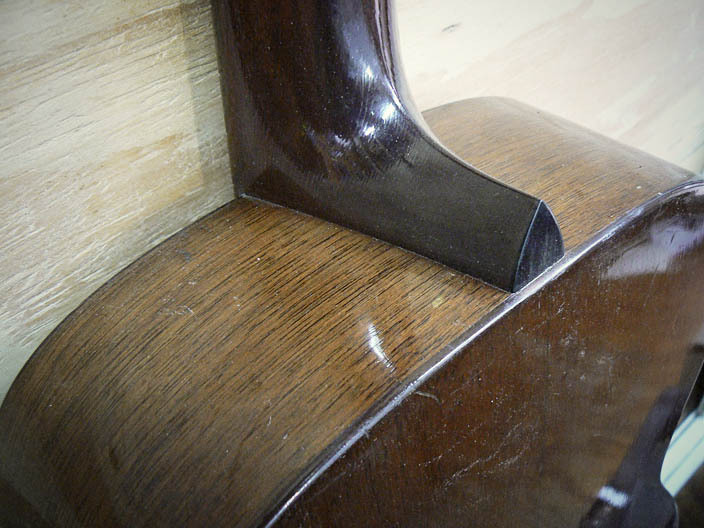 It had been lovingly hand varnished by brush to give it a face lift some time in the last 50 years. 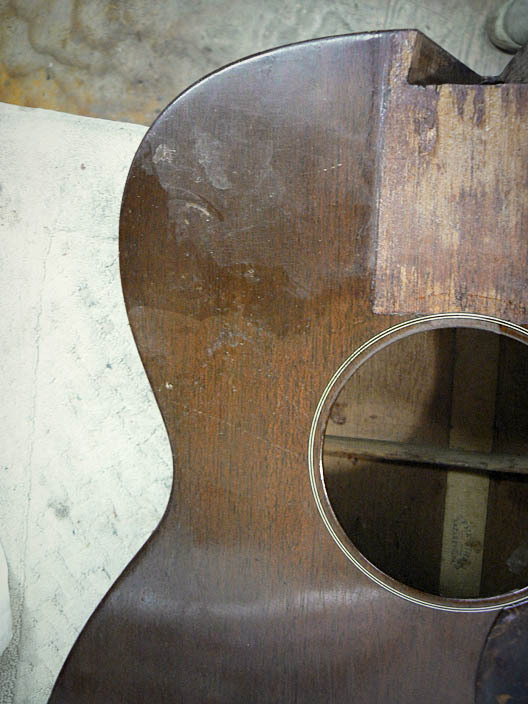 The “artist” who carried out this work was detailed enough to make sure they coated the guitar thoroughly. 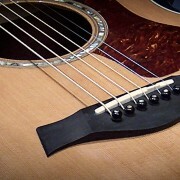 tuners, fretboard, bridge and all. 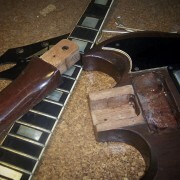 Apart from that the guitar was in need of a neck reset and some brace/bridge plate and crack repair. 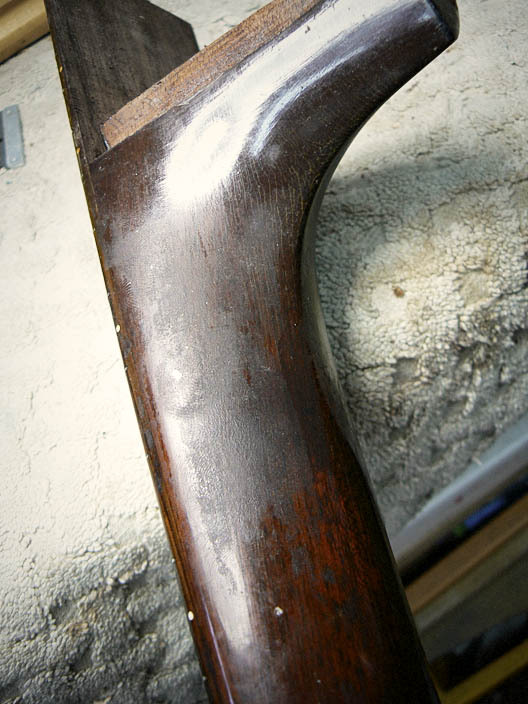 The approach here was to carefully test various areas to see how the varnish layer would respond to different methods of removal. 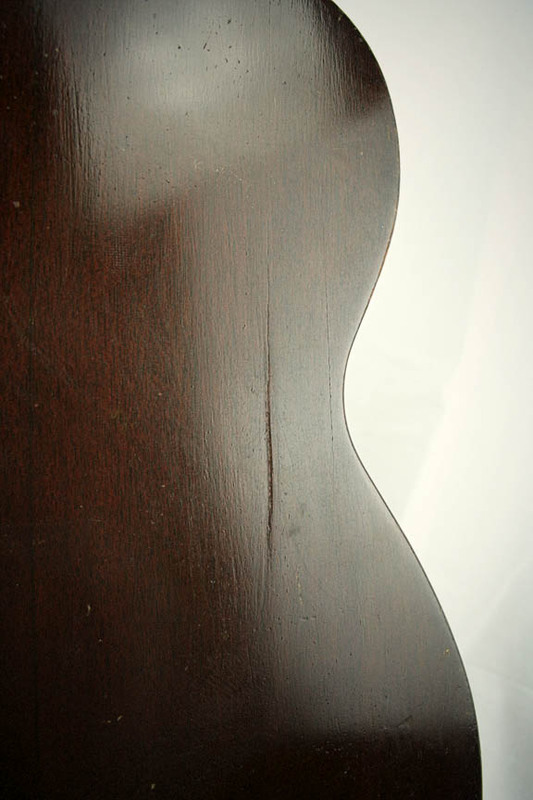 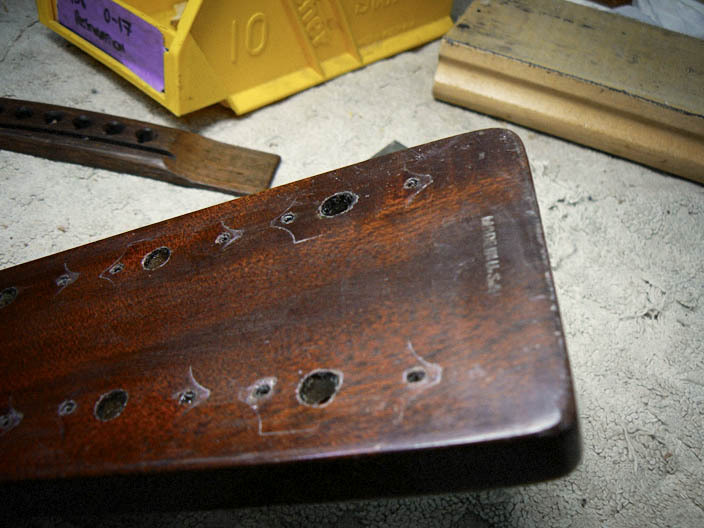 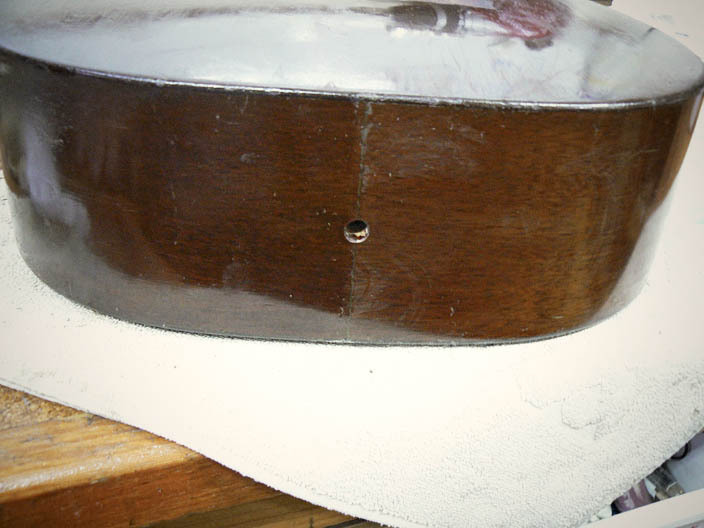 After disassembling the neck and bridge from the body, the finish removal work began. 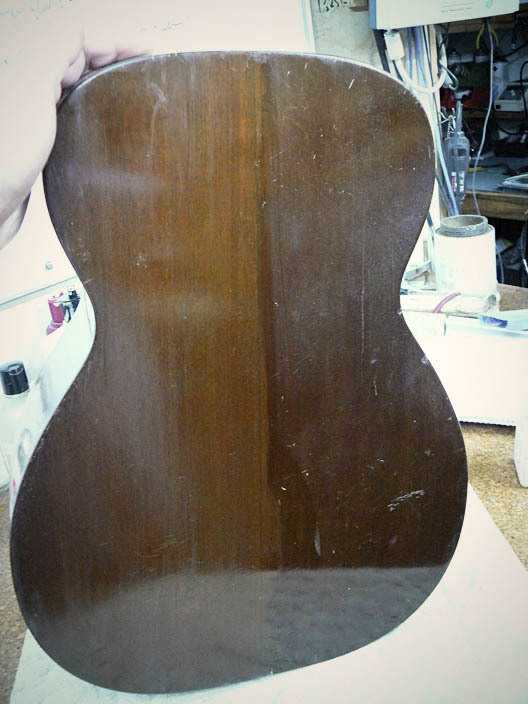 A huge bonus was that the varnish over coating was applied without any preparation sanding. 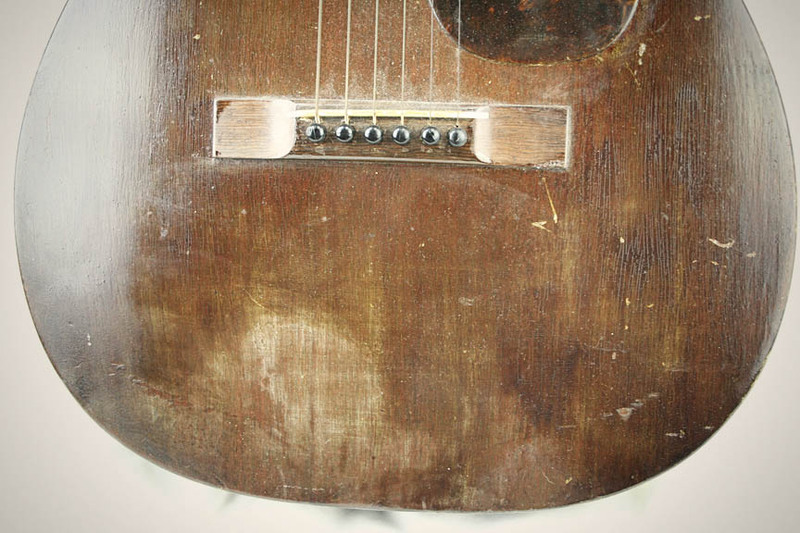 This meant the original finish was preserved – patina and all under all that over coating. 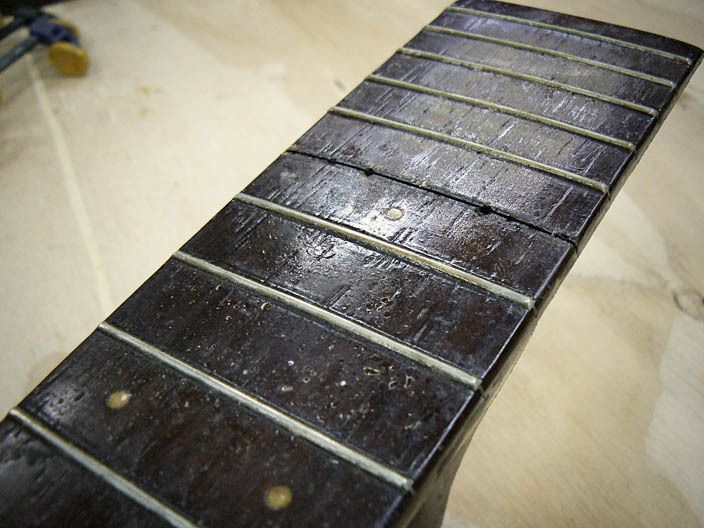 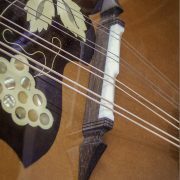 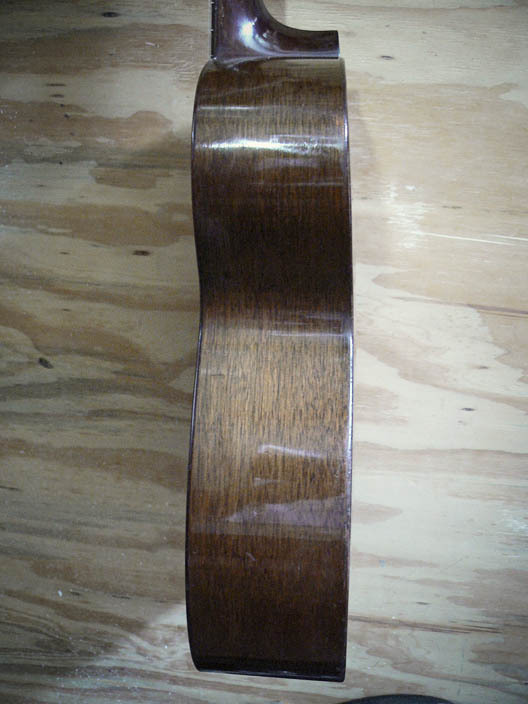 It still took many hours of carefully removing the varnish to reveal the original finish completely from the tuning heads, frets and fretboard and bridge as well as the rest of the guitar. 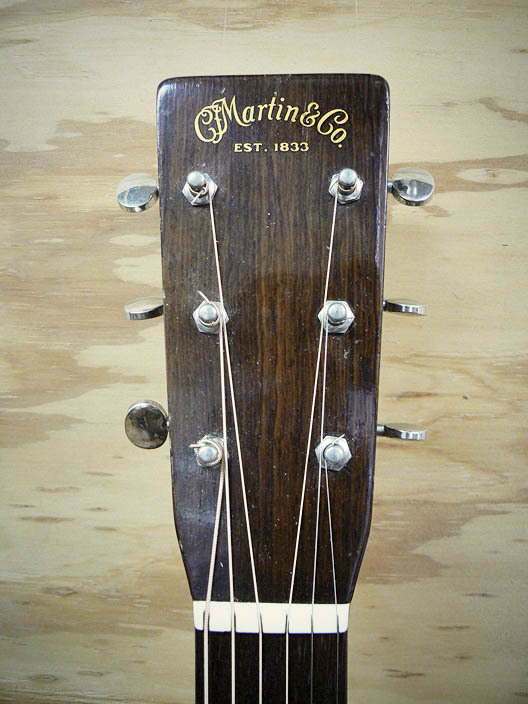 Following up with a neck reset, brace re gluing, crack repair, bridge work and setup, this beautiful example of a golden era Martin was ready to make music for hopefully many decades to come. 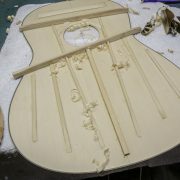 A real pleasure to work on.